An anniversary follow-up to a 2012 post on 'why to use Postgres' but now looking at features from the last five years. It provoked extensive discussion on Hacker News. Logical replication has been one of the more welcomed advancements to Postgres in recent years. Postgres 10 will feature a number of updates to it. Get a primer of what it is, and why you would use it. Postgres 10 isn’t quite here yet, but it’s starting to take a pretty close-to-final form. Take an early look at the (still in progress) release notes. Continuing a great series on Postgres stats, this takes a quick look at an index related stats table, and links to some handy queries for things such as finding unused indexes. Use Docker for the rest of your local dev and want to set up Postgres the same way? Here’s a quick tutorial on getting things running. GROUP BY is used so often in SQL that it pays to understand it well. 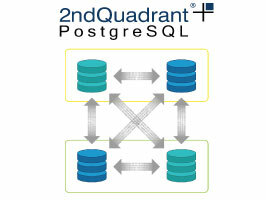 An interview with Craig Kerstiens on the benefits of Postgres over other SQL databases. ZomboDB is an extension to Postgres that allows you to directly use Elasticsearch indexes from within Postgres. It’s got a new website and look and is worth taking a look at if you use both.